My profile was painfully out of date! This was the biggie for me as I’ve changed a lot over this last 12 months. I’ve grown so much as a designer that the original profile from the sites launch felt a lot less relevant and worse still I felt like it was actually pigeonholing me so that visitors weren’t getting an accurate representation of my focus or the type of work I’m doing now. The Homepage was a waste of space. On launch it housed a fullscreen slideshow meant to give visitors a quick and tantalising glimpse of the projects I’d worked on. In reality I think it missed the mark so instead of grabbing peoples attention and drawing them in it was probably doing the opposite, loosing me more visitors than it retained. I’ve completely rewritten my Profile so that it’s now more concise, giving you a flavour of who I am, what I do and the types of clients I work with. I’ve also added small sections on my availability and where I worked previous to freelancing full time. Finally, I’ve slimmed down the amount of social links and removed the less work focused ones. If you came here via my new Homepage then you’ve already experienced the biggest visual update, a rich, hypnotic looping animation which oozes personality. Using form and colour along with animation in a playful way has become a staple of my personal projects since I started using Processing back in mid 2016. As this page is the first thing most visitors will see I wanted it to give them a taste what I’m all about. If you haven't seen it check out the video below. 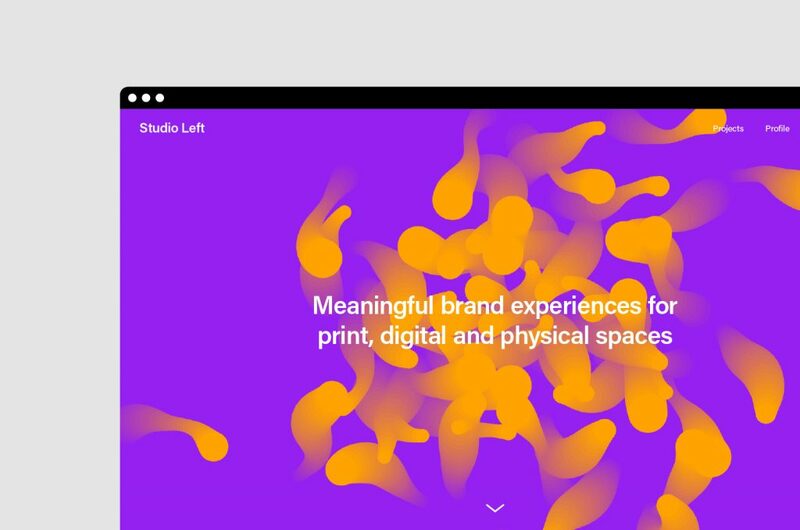 If you don’t get lost in my mesmerising header animation scrolling down will take you to more information about myself and a small selection of featured projects. Both come with links to their prospective pages, helping me to direct visitors to the most important parts of my site and making this page much more functional. I’m super happy with how the updates have turned out and I’m glad I took the time out of my busy schedule to implement them. As a working designer its way too easy to neglect your own website, constantly putting updates on the back burner to take on more client work or start a new personal project that you just can’t get out of your head. My solution was to treat these updates like a mini personal project, making it less of a chore that had to be done after work and definitely helped get me excited about cracking on with them in my free time. Thanks for reading and be sure to leave your thoughts or comments below.